The Teachers // All the teachers are fun, university qualified, experienced, speak several languages, love travelling, cultures, learning and teaching. Languages give you the ability to live, work or travel throughout the world more easily, talk to everyone you meet along the way, make new friends from different cultures and, most importantly, allow you to eavesdrop! Rosi was born in Leeds in the north of England, but has spent most of her working life overseas. Her honours degree in European Languages (French, German, Italian) from the University of Wales, Aberystwyth, also includes the TEFL (Teaching English as a Foreign Language) qualification. She also studied part-time at the University of Heidelberg in Germany and at the University of Cagliari in Sardinia. She has taught languages to all nationalities at all levels in several countries including England, Germany, Austria, Italy and China where she was Head Teacher and Coordinator in English for the Yantai CIE Business College working with adults wanting to study at universities throughout the UK. She moved to Verbier to work as a ski instructor where she met Eléonore and opened the Verbier Language School in 2006. To make the most of your travels you need to be able to speak the lingo! Speaking different languages allows you to connect with new people you meet along the way. You may also be interested to know that if you use your brain, you stay younger! Eléonore is from a small village called Sembrancher in the Valais very close to Verbier. She gained her Master of Arts, which included English, Spanish and History, at Lausanne University in Switzerland and following that moved to Spain to study Spanish literature and linguistics at the Santander University. She later returned to Lausanne and joined the Gamma Institute High School as Head of History. 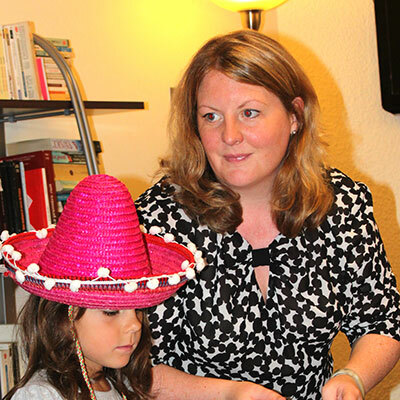 Eléonore has taught French, Spanish and English in various cities around the world, including London. She moved back to the Valais in 2005 and opened the school with Rosi in 2006. Emma was born in a small village about an hour north of Stockholm in Sweden. After finishing school Emma spent three winters teaching skiing in the Alps, before returning to Sweden for University. After five years of studying at Uppsala University and being an exchange student at Lausanne University, Emma finished her Masters degree, which qualifies her to teach both as a primary school teacher, and a teacher of French and English in higher education. During this time she also taught part time in primary and secondary schools in Uppsala. Since qualifying as a teacher Emma has been based in Verbier, though she spent one European summer teaching English in New Zealand. She has been working with VLS since the winter of 2008-2009. 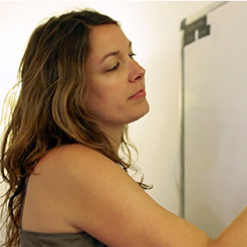 Her combination of qualifications and languages means that she is very experienced as a teacher of English, French and Swedish, as well as a private tutor for children up to lower secondary age. Céline is passionate about travelling and makes the most of her free time discovering the world, meeting new people and experiencing new cultures. She has taught in various countries around the world including New Zealand, France and Switzerland for thirteen years, and has been living in Verbier for the last nine years, alternating between teaching skiing and snowboarding and languages with VLS. She has the highest snowsports qualifications, the Brevet and Patente, and has worked with all ages and levels of snowboarders, skiers and language students (especially those wanting to perfect their French!) and is a qualified youth and social worker for child protection services. 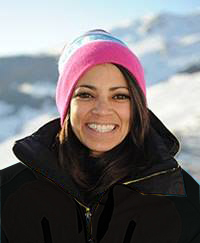 On top of all that, she’s a dance teacher, surfs, paraglides, climbs and even finds time to compete in snowboarding competitions! Luckily for us, she’s working with VLS on the piste!